Scientists have discovered a new type of immune cell that could predict which lung cancer patients will benefit most from immunotherapy treatment, according to a University of Southampton study published in Nature Immunotherapy. Researchers at the University of Southampton and La Jolla Institute for Allergy & Immunology, California, found that lung cancer patients* with large amounts of a particular type of immune T-cell, called tissue-resident memory T-cells, in their tumour were 34 per cent less likely to die. 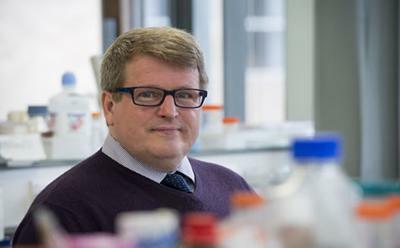 The Cancer Research UK funded study** also found that it was not just the numbers of cells that increased survival, but the cells’ behaviour played a key role. The cells clustered together and ‘took up residency’ in a particular tissue, in this case the cancer tissue, to protect the patient. These new T-cells also produce other molecules that attack the tumour, meaning that the body’s immune system could be more likely to hunt out and destroy cancer cells. Immunotherapies have shown great promise in the last decade, but identifying which patients respond to treatment and which don’t has proven difficult. In future, testing for levels of these cells could help doctors identify which patients will benefit most from immunotherapies that help to ramp up the body’s attack on the cancer. Scientists could take this one step further by using the T-cell as a template to develop a vaccine to boost immunotherapy even more – helping to tackle one of the hardest to treat cancers. 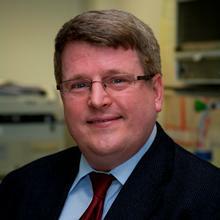 Professor Christian Ottensmeier, Cancer Research UK scientist at the University of Southampton, said: “These are hugely exciting results. For the first time we have a real indication of who might benefit from a particular drug before we make treatment decisions. So far when we use immunotherapy we do not know if a patient will benefit. The new findings are a big step towards making this exciting treatment much more predictable. The results build on the University’s expertise and successful track record in cancer immunology research. 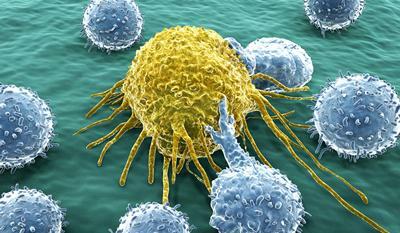 Later this year, the University will open the UK’s first and only centre dedicated to cancer immunology research. The Centre for Cancer Immunology will bring world-leading cancer scientists together under one roof and enable interdisciplinary teams to expand clinical trials and develop lifesaving drugs. Dr Justine Alford, senior science information officer at Cancer Research UK, said: “The immune system can play a powerful role in fighting lung cancer, and this research sheds more light on the interplay between cancer, our immune system, and immunotherapies.